MSR 175 – protect your goods! 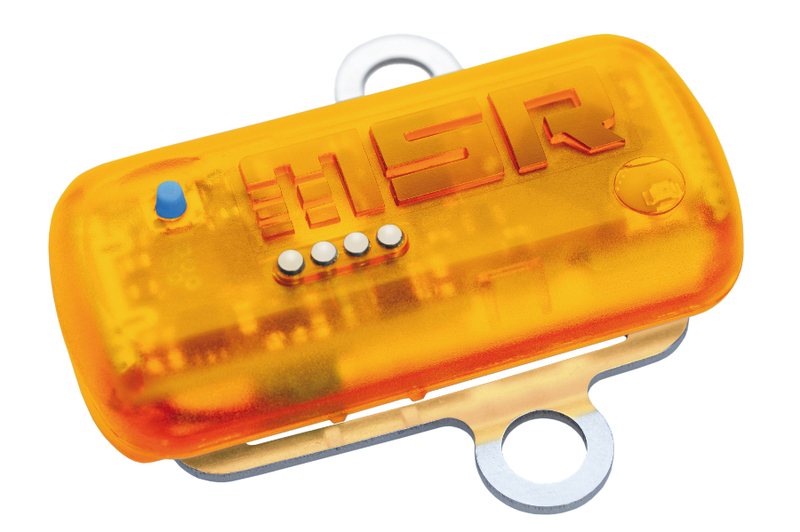 The MSR175 shock transportation data logger features high-performance sensor technology combined with sophisticated storage and evaluation electronics. By using two 3-axis acceleration sensors, the new mini logger can record shocks over a period of several months and is suitable for transportation monitoring of all types of goods. A key application of the new MSR stand-alone data logger is the identification and continuous documentation of external physical effects on cargo, such as shocks and jolts, temperature excursions, changes in humidity, light or pressure – even over long periods of time. This can be used to document any damage. The two 3-axis acceleration sensors integrated in the MSR175 have working ranges of ±15 g and ±100 g. They record shocks and jolts at a measurement frequency of up to 5,000 measurements per second. There are two variations of the data logger, both of which include besides the two 3-axis acceleration sensors an internal temperature sensor. One version, however, includes three additional internal sensors – for light, humidity, and pressure. The MSR175 data logger is supplied complete with evaluation and storage electronics, as well as a rechargeable battery, all of which is installed in a waterproof plastic case that is IP 67 compliant. The installed memory of the data logger is capable of storing over 2,000,000 measured values, which is sufficient for more than 1,000 shocks and jolts. Therefore it is suitable for measurement periods of several months. A measuring and recording cycle is started either immediately after the configuration, on a specific date or via the integrated button. 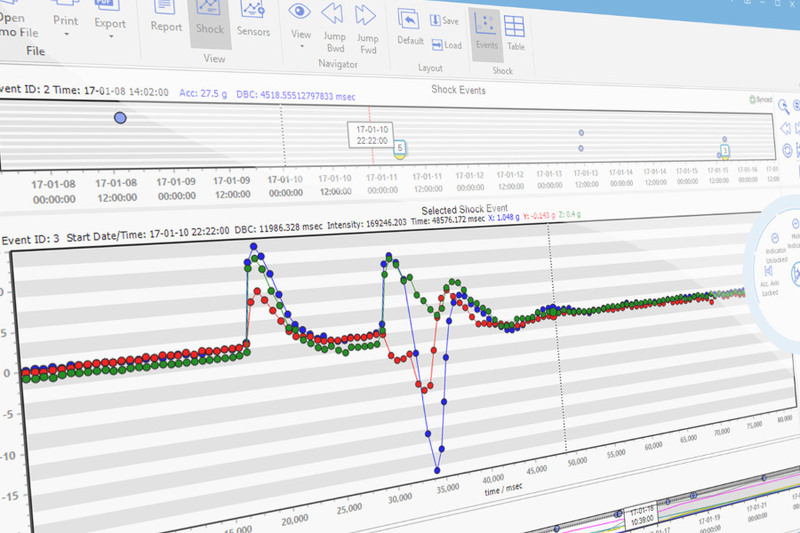 At the end of the measurement period, all data recorded by the MSR175 can be transferred to a computer via a USB port; subsequently it can be analysed and clearly presented in a chart using the intuitive «MSR ShockViewer» software. In the process, you can analyse critical events at a glance and document them conclusively in a report; a frequency analysis facilitates identifying the causes of shock events. On request, the data loggers are supplied with a calibration certificate subject to a charge and, thanks to a user-friendly configuration routine, they can be put into operation without requiring any specialist knowledge. DIS Sensors, represented in Australia by Sensors Australia, proudly announces a new member of the QR family of rotary encoders. Like the existing QR30N, the new QR40EMN now augments the QR40 series with a shaftless and therefore fully solid-state absolute rotary encoder. With optional redundancy, this robust and flat-housed rotation sensor meets the needs of machine builders for fail-safe rotation sensing with easy mounting and no need for adjustment. These absolute rotary encoders measure the angle between the sensor housing and a separate shaft-mounted magnet. The sensor measurement range is a single full 360° rotation, although rotation itself is not limited by any mechanical stop. On request, subranges can be factory-set. The clearance between magnet and sensor can be up to 10 mm, so mounting could hardly be simpler! The redundancy option makes the device suitable for countless applications. Moreover, because the redundant variant refers to the same external magnet, mounting is no more work than for the standard type. This type of sensor is ideal for all kinds of applications that would benefit from a contactless rotation monitoring solution in a flat, compact housing. Please contract us via email or phone for any questions or visit our product overview page or web shop.